As Postpartum Doulas, some of the most common questions we hear from new parents are about how to bathe their newborn. How soon after birth should you give your baby a bath? How often should the baby get a bath? What equipment do you need? What are some tips and tricks for a successful bath? Never fear — we can help put your mind at ease as you learn this new skill. HOW SOON AFTER BIRTH SHOULD REGULAR BATHING BEGIN? 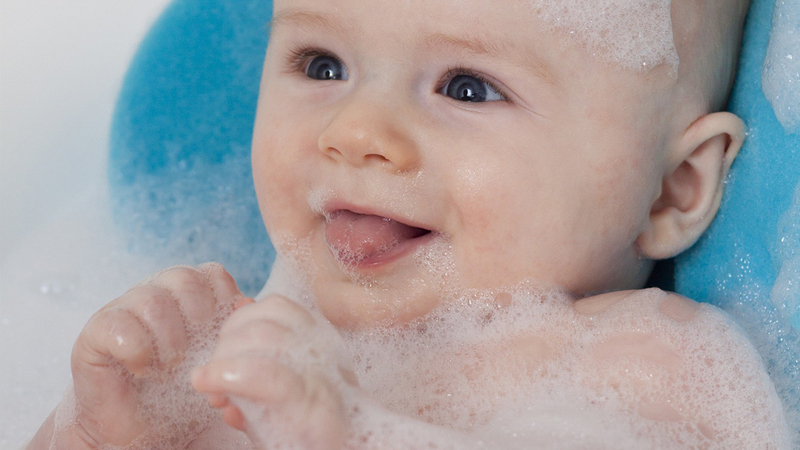 Infants delivered in the hospital generally receive a bath on their first day of life. Procedures vary between hospitals, so ask your health professionals for details of your newborn’s care. Once you have the baby at home, it depends on your preference and your baby’s needs. Generally, babies are pretty clean and they have very delicate skin, prone to drying. During their first weeks, they are thoroughly cleaned in the diaper area several times a day, along with clean-ups related to feeding. So, you can go a week or even longer without a full body wash — it is up to you. HOW OFTEN SHOULD THE BABY GET A BATH? Because baby skin is very sensitive, it can actually be more harmful than good to overwash your newborn. While bathtime is a useful tool in a bedtime routine for older babies, a newborn will not generally associate bathing with night, so establishing a bathing routine is more likely for your benefit than the baby’s. Ask your pediatrician if there are any reasons you should wash your child more or less frequently, based on your child’s specific needs. Otherwise, 1-4 times a week or so should be fine. WHAT ARE SOME TIPS AND TRICKS FOR A SUCCESSFUL BATH? Do not submerge babies who retain their umbilical stump. Until the umbilical cord is completely healed, the American Academy of Pediatrics recommends only sponge baths. Wet babies are very slippery! Use washcloth gloves or even submerged towels to give you a better handle, literally, on your baby’s body. Towels can be used to line baby bathtubs or even on the floor of your regular bathtub with a few inches of warm water. Just be sure to keep floating towels away from your baby’s face. Handling your baby in the water can be tricky. Focus on holding the head — that’s where much of your child’s weight is and the part you want to keep above the water line. Many parents find it useful to constantly keep one palm under the newborn’s head while the other hand washes. Pay attention to skin folds for special cleansing. 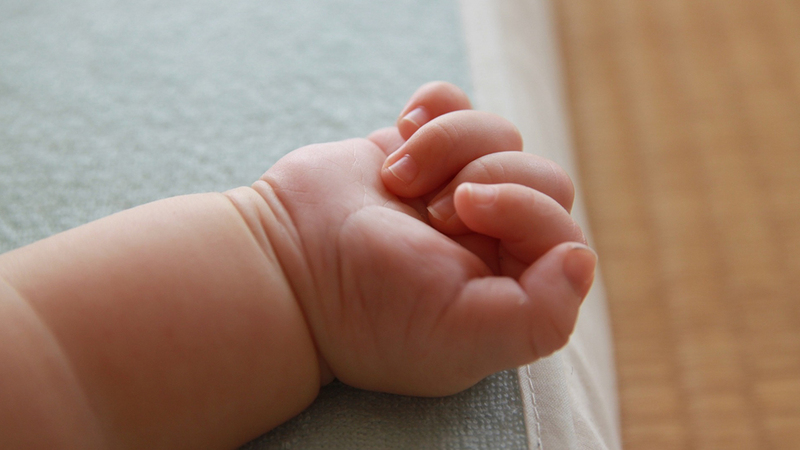 Newborns tend to clamp their fingers and toes. As a result, they occasionally accumulate fuzz or milky residue in the creases of palms or between toes. As they pack on the pounds, check under the neck for drool and milk and in those adorable thigh creases for anything missed during diaper changes. Test shampoos and lotions on skin before using it all over their body, or even stick to just warm water for the first few bathings. Use the kitchen sink or countertop for baths as you learn your new bathing routine. It is easier to wash a baby while standing than hunched over or kneeling on the floor. Just be sure you have a good grip on baby at all times. Newborns typically don’t like to be naked and completely unencumbered — as when they are lowered into a bath. The Moro reflex will be triggered, and it is likely your baby will flail and/or cry during transition into and out of the tub. No need to panic; just try to make those transitions as quick as possible. Use warm — not hot — water. Try testing the temperature with your forearm or elbow, where your body temperature is more consistent. Keeping the air warm can help ease the transition into and out of the warm water. Warm water also triggers urination. It may happen in the tub. It may happen in the towel. It may happen all over your shirt. But it’s likely to happen at some point during bath time. Nikki is a Certified Postpartum Doula (DONA), Certified Newborn Care Specialist, and Certified Lactation Counselor, with 1000’s of hours of experience working with new parents. 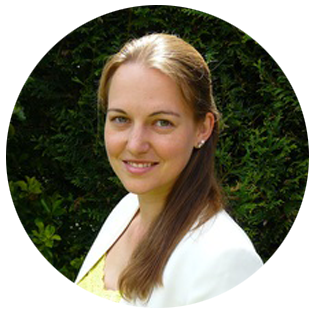 She is also the co-founder of Metropolitan Doulas, where she provides best quality postpartum care and support in the Washington DC, Northern Virginia, and Maryland area.